Do you want to buy a forage harvester? These implements function to produce silage that can be used to feed livestock. The Staalmeester Double Chop Forage Harvester DS 540 is a durable implement that was designed to increase the productivity of your operations. 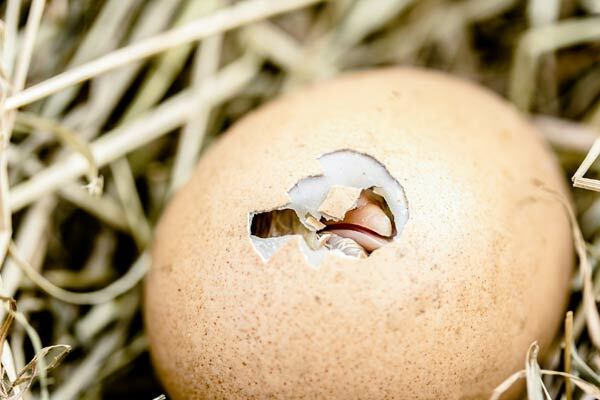 Its cutting-edge design, as well as its excellent performance, set it apart from the competition. You can find a quality Forage Harvester for sale from Truck & Trailer. What is a crop forage harvester used for? 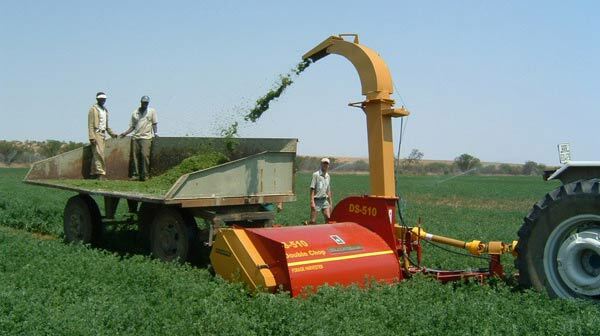 A forage harvester is used to harvest plants with the aim of making silage. This piece of farm equipment can be used to harvest a range of plants, including corn and grass. When these plants are cut into fine pieces, they’re compacted together to form silage. The silage is stored and fermented so that it can be used to feed livestock. Forest harvesters can be attached to a tractor to complete tasks quickly and efficiently. Self-propelled units are also available. This implement is made up of knives attached to a drum that cut up the plants before they are blown through a chute into a wagon. 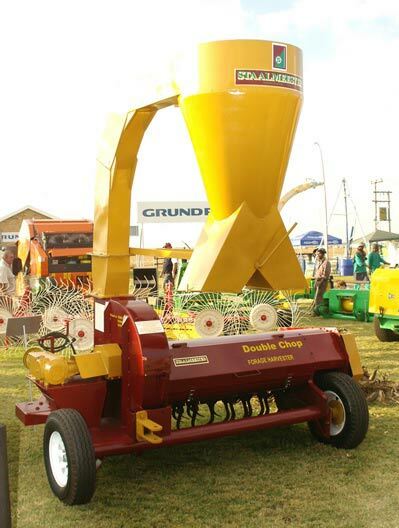 Big load harvesters are generally equipped with a paddle accelerator, which enhances the efficiency of the machine. There are different heads to suit different crops. The Staalmeester Double Chop Forage Harvester DS 540 is ranked as one of the best on the international market. This machine is suitable for harvesting grass and Lucerne and it can also be used to harvest beet tops and a range of other crops. The DS 540 can be used to produce silage conveniently and efficiently while its double crop design improves the quality of silage that is produced. The durable design and build of the DS 540 make it an excellent investment. Its impressive productivity and excellent features set it apart from other implements in its category. The extra wearing plates, as well as the final re-chopping plates, produce a fine cut. This allows more material to fit into the trailer. The DS 540 is suitable for harvesting both wet and dry crops. 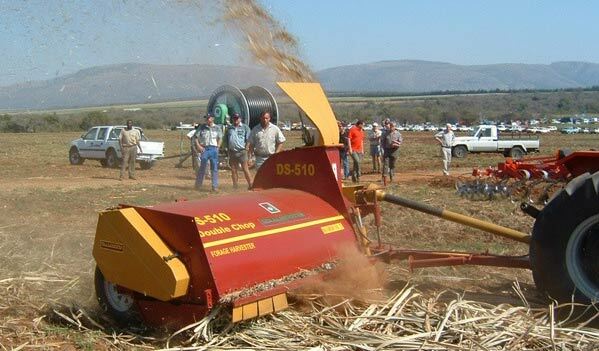 This implement is also useful for cutting sugar cane as well as spreading it consistently over the land. Another option is to use the forage harvester to cut and spread cotton stems. The DS 540 is equipped with hydraulic cylinders. The trailer hitch boasts five adjustable settings so that you can customise your implement to match your requirements. 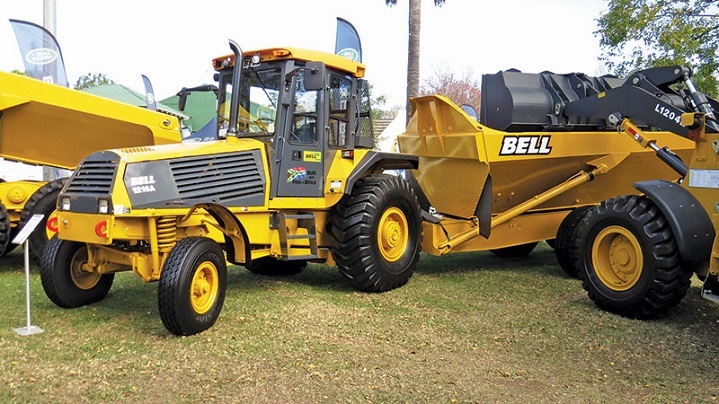 This forage harvester delivers a reliable performance in challenging conditions, and it can be used on sandy terrain and inclines. There are 36 flails in the durable flail rotor. For additional convenience, you can fit your implement with a cyclone and a platform so that the processed crops are put straight into bags. 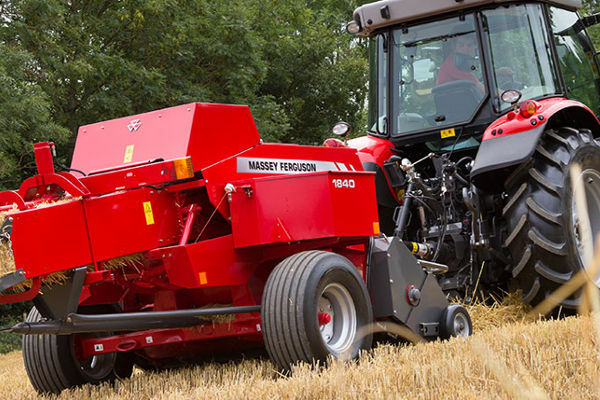 The advantage of this Staalmeester forage harvester is that it does the job of two machines. 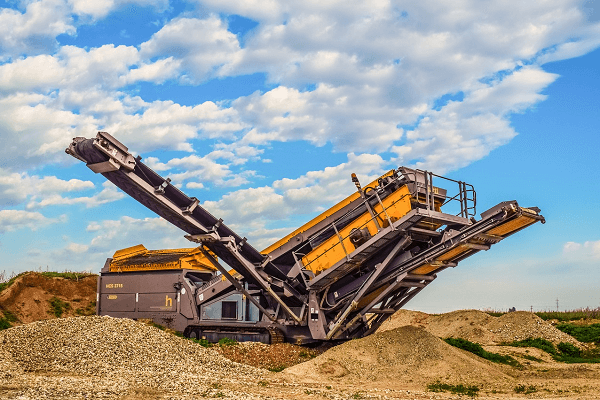 It can be used to harvest directly from the ground or to process material from the swath. The power requirements for the Steelmaster forage harvester is 37 to 70 kW. The PTO speed is 540 rpm and the flail rotor speed is 1 655 rpm. The DS 540 has a flywheel diameter of 810mm and a flywheel speed of 1 258 rpm. It has two drive belts and six cutting blades. Now that you know more about the advantages of the Staalmeester Double Chop Forage Harvester, you can find one online, designed and built according to the highest standards.